Perfect Fit blinds in roller, 20mm pleated or 25mm aluminium wood Venetians. Installation requires no drilling or screwing. 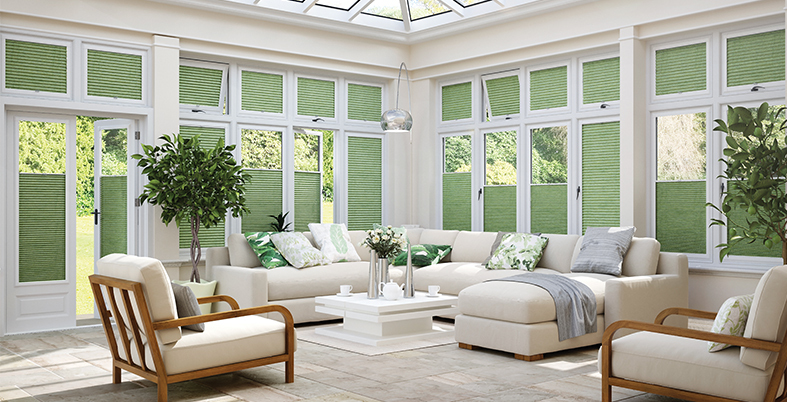 Enjoy your conservatory all year round with one of our stunning range of reflective backed blinds, designed to keep the heat out in the summer, yet keep in the internal heat in winter. Aluminium and wood Venetians, pleated and roller blinds can be installed in the conventional manner or in a frame which you can see on some of the photographs, these in the frame are Perfect Fit and they just clip in with no drilling and screwing, which means no holes. 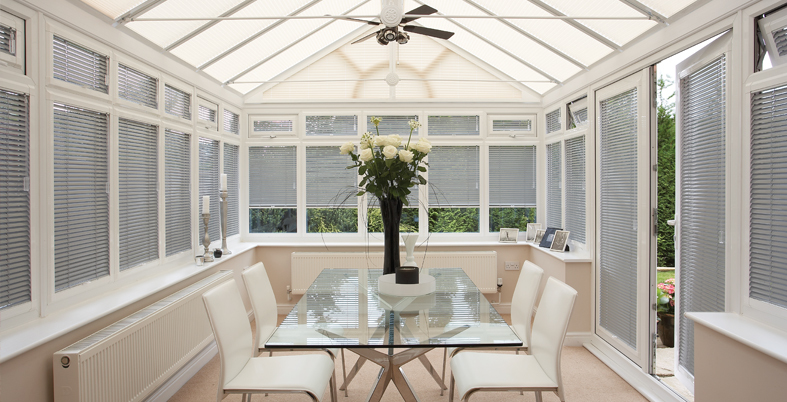 The Perfect Fit international are pleated roof blinds - and no holes are made in the conservatory. 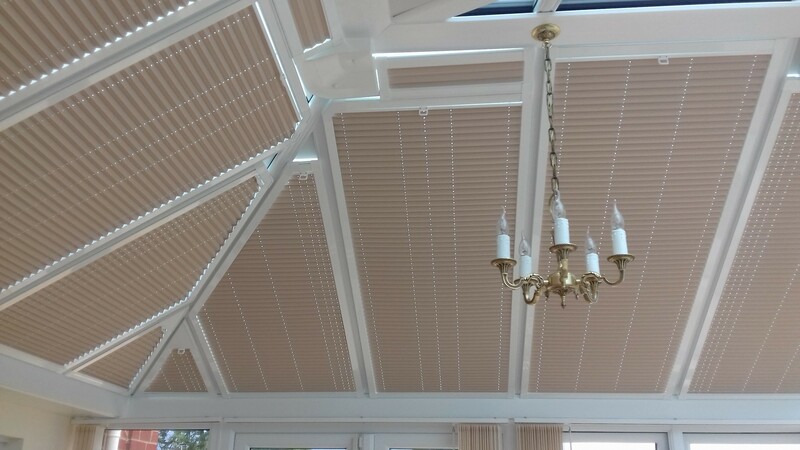 Manufactured and installed to fit all shapes and sizes of conservatory roof in 20mm pleated fabrics. Installation requires no drilling or screwing. Also, a huge selection of roller and pleated blinds for all shapes and sizes for a conventional roof fixing. Huge selection of vertical, pleated, Venetian, roller and roman blinds. Delivery normally within 14 days. All blinds come with a 3 year guarantee.